Sell more fireworks and introduce new products with no additional staff. 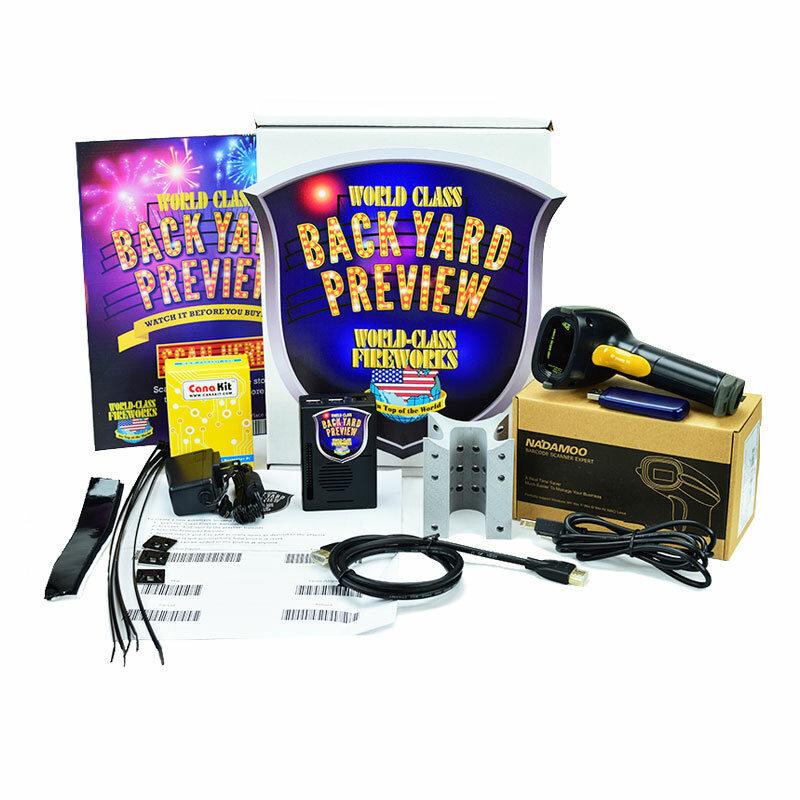 The Back Yard Preview video playback system accelerates your sales by encouraging customers to scan barcodes to view fireworks displays in real time. When not in use, The Back Yard Preview system acts as an interactive point of sale display tool to capture the attention of potential customers with high definition video. All World Class and Cutting edge products come preloaded, with new product videos easily added over the Internet. All World Class and Cutting Edge Products are Pre-loaded. Receive New Product videos and updates over the Internet. The customer can watch any item by scanning the firework. Just download the app and scan the barcode of the firework you want to see. Learn How to Use Back Yard Preview the easiest way possible. Have questions? We have answers. If you have a question that isn’t answered here, please contact us.